Many thanks for your interest in volunteering at MagicFest 2018. 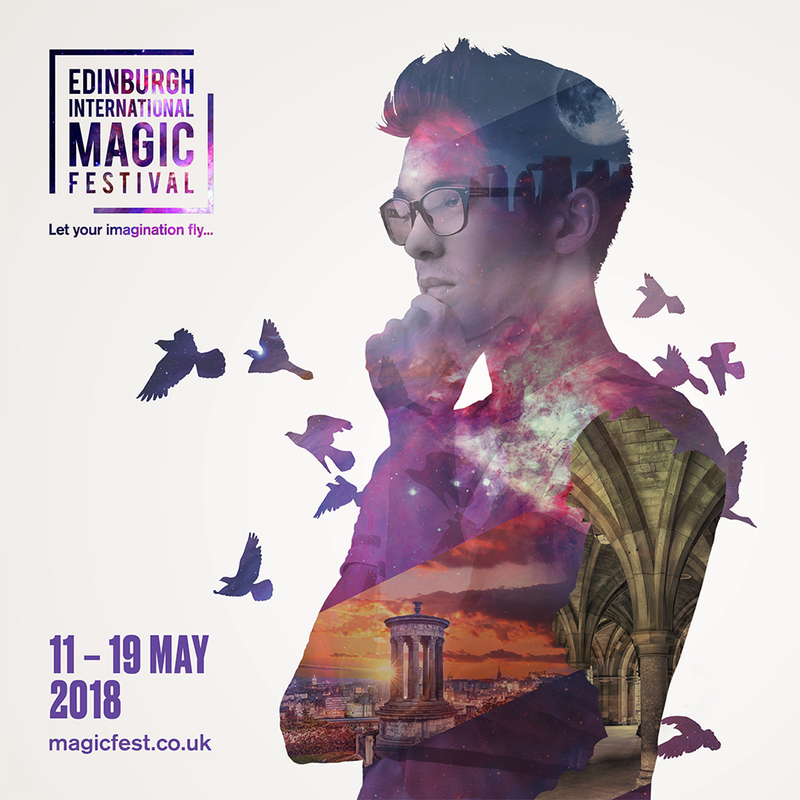 Edinburgh International Magic Festival is a unique annual event celebrating the Art of Magic that brings to the city amazing performers from around the world and encourages magic talent in Scotland. Our mission is to promote magic as an art form and to attract a wider range of people into the arts. Every year MagicFest attracts over 12,000 people at 80 different events across the city from free installations to the world-class Gala show at the Festival Theatre (watch the video about MagicFest 2016 here). Now in its 9th year MagicFest will run from Friday 11th May to Saturday 19th May 2018. Volunteers are vital to ensuring an amazing experience for performers, press and our audience. We rely on an enthusiastic team of people to work with us on this unique event that celebrates the art of Magic in all its amazement and diversity. Should you volunteer for MagicFest you will find opportunities to help run venues, sell shows, meet some of the world’s most amazing magicians and maybe even become their backstage beautiful assistant! You will be part of one of Edinburgh’s newest and fastest growing events. If you are interested in enhancing your CV, having a good time, learning some magic and being part of the team that makes Edinburgh’s most magical Festival a success, then we are waiting to hear from you! We’ve got several volunteer positions available, including Front of House Steward, Backstage Assistant and Volunteer Photographer. You can find the job descriptions below. The deadline for volunteer positions applications is Monday 16th April 2018. We have a limited number of positions available and once these have been filled, the application process will be closed. There will be morning, afternoon and evening shifts available throughout the Festival week, on average between 3-6 hrs long. Each volunteer is asked to be available for a minimum of three to four shifts (depending on the nature of the volunteer role). We also ask you to attend a Magic Training Day on Sunday 6th May from 11am till 3.30pm. Please review the MagicFest Volunteer Policy and Volunteer Role Descriptions before submitting a volunteer application.